We have a range of great eBooks ready for you to borrow. Go here to view our eBook collection. 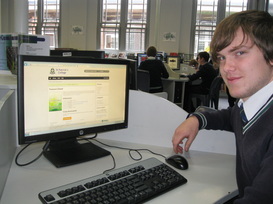 Login with your school details. Go here if you have never borrowed an eBook before. There are few things you need to set up first. High interest, not many words - click here to see our Quick Reads eBook collection. eBooks are just a few clicks away.